Buy Elli Puukangas a Coffee. 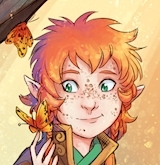 ko-fi.com/tistow - Ko-fi ❤️ Where creators get paid by fans, with a 'Buy Me a Coffee' button. Hi! I'm Elli, a freelance illustrator from Finland currently living in the south of England. I'm the author of Tistow, a graphic novel inspired by the 19th century. I’m fanatical about rats and I wish I could spend more times rummaging around dusty old bookshops. Like any good Brit, I enjoy a nice cup of tea. Secured Payments. Support goes to Elli Puukangas's account. Upgrade Elli Puukangas to a yearly Gold Membership with a one-time payment.